Boys and girls present unique challenges in every area of parenting — and potty training is no exception. Though girls and boys take roughly the same amount of time to train (eight months on average), there are many differences between boys and girls throughout the process. 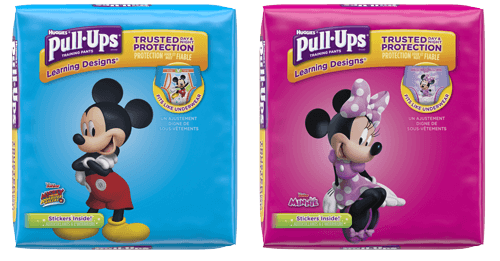 Jan Faull, Pull-Ups® Potty Training consultant, shares tips on helping your little lady or lad master potty training. Regardless of gender, children progress through the potty training process at their own rate and in their own way. Because of this, Faull reminds parents to allow their child to set the potty pace and protocol. Regardless of gender, children progress through the potty training process at their own rate and in their own way. Children are great mimics. It’s an easy way for them to learn new concepts, including using the potty. Because potty training with boys involves both sitting and standing, it may be confusing which task to teach first. Faull recommends using your child’s own cues to determine what progression makes the most sense for your unique little one. Even though training differs between boys and girls, staying positive and patient is the key to success for every parent and potty trainer.